On their second day, the school opened the ramp for kids with trolleys. Meg's room is at the 2nd floor already but I initially let her use her old school backpack because I wasn't sure how safe the ramp is for the kids. I observed the going up and down of the kids with their trolleys and was convinced the ramp is safe and more convenient for them. I also like that the ramp is not that steep and the engineer was there the first time it was opened to watch carefully if everything will turn out fine. There's also a person assigned to assist the kids at the ramp. I bought a trolley and chose the one which can fit a long folder inside and the rest of her school materials won't crumple also. Well obviously, the little lady likes her bag so much. Yay sana naman till next year buo pa rin, ang mahal! How are you? I am feeling more occupied now because classes are about to start on Monday. Yay summer flew by fast but I am grateful that the little girl enjoyed her vacation with her swimming class, playdates with cousins, and events I let her attend with me. 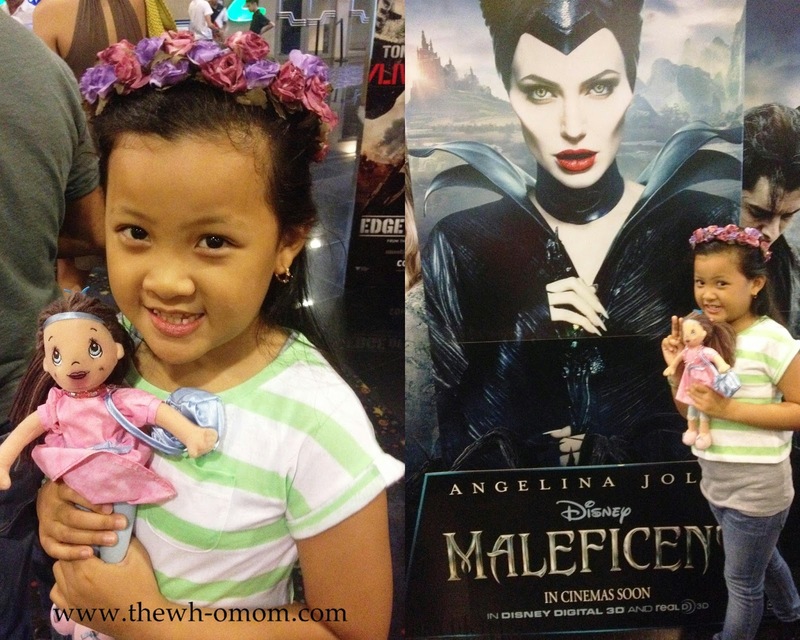 Last week, we were able to watch Maleficent when TriNoma invited us to its special screening. 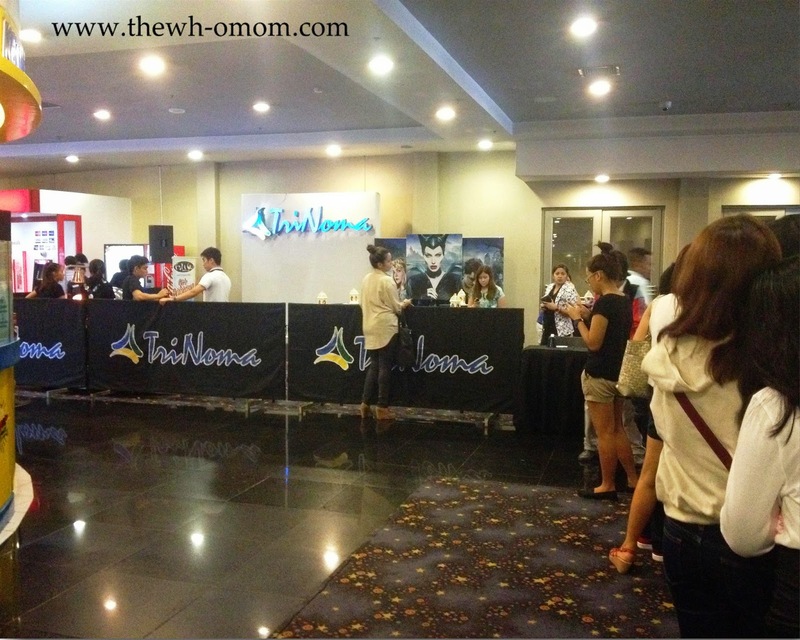 TriNoma cinema is not new to us since we watched few movies there with the whole family. I know Meg and I would enjoy our movie experience because it is nice, the seats are cozy, and the screen is wide. Did we like the Maleficent movie? Well, I already knew that the movie will highlight the other side of the story of "Sleeping Beauty", on why is Maleficent bad and cursed Aurora. There are some boring and predictable parts in the movie but I love how they inserted whimsy dialogues and remarks that my little girl giggled into. Disney makes their modern take in their past movies into a true situation that exists in our present time. Greed will always end up with negative things. If you have no contentment and will do anything for your ambitions, it will definitely turn you into evil. It's not a bad thing to desire something like to be successful, powerful, or famous; but don't let it contain you. You might end up hurting other people just to get what you want. Your ambitions may mean the world to you but there's more to it - peace of mind, love, and happiness. Others who watched the movie said that Maleficent became bad because of circumstances. Yes it can be that way but it doesn't change the truth that she chose to be that way. There are many bad things in our life, but we must be able to combat it. I don't think this is easy since we always decide things based on our emotions and feelings on a certain situation. We let the circumstances control us without realizing the bad effects it will cause to other people. And when we do realize it is bad, it's far too late to change it. Revenge doesn't do good at all, you will eventually regret it. If you will be tempted to seek vengeance from people who hurt you, just think of the golden rule, “Do unto others as you would have them do unto you.” If you will not stop thinking of doing revenge to your enemies, the whole course of revenge will not stop until it consumes both parties. 4. No matter how far you've gone down the wrong road, you can always turn back. People have this perception that if you're bad, you can't change it. I have to disagree with this. There will always be bad decisions in life but when you learn to accept that you're wrong, you can always turn things around and be back on track. Nothing is perfect in our world and we have to have that courage to be a better person not only for ourselves but for other people as well. Maleficent's "true love's kiss" established the fact that "true love" can't only be found in a man-woman relationship but can also be manifested in our love for family and friends. It was just fantastic that the movie highlighted not only about the "true love's kiss" (the Frozen way) but also substantiate that people can get along even with contradicting characters. Just as a punk getting along with an emo, or a proper gal with a mean girl, and a chatty lady with a speechless man. At least, Disney managed to make the movie into something that is really happening in the real world, not the fairy tale per se. Thank you TriNoma for inviting us! As always, your cinema didn't fail us. It might be cold inside the cinema but it sure did left our hearts glowing with warmth. 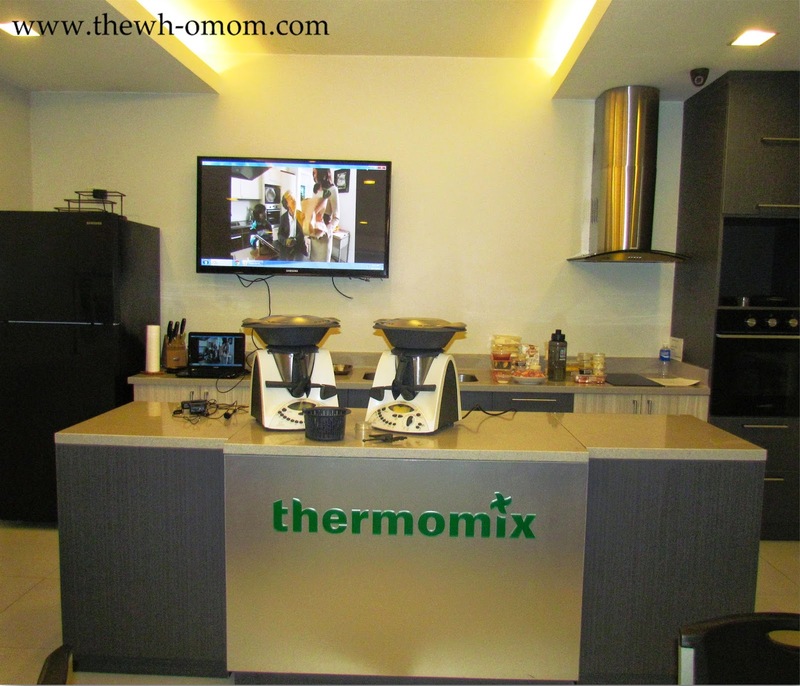 When Thermomix invited bloggers in their studio through Mommy Bloggers Philippines, I researched about the product first and learned it's a practical super kitchen machine. But there's more to it than my research suggests. Modern Innovations Enterprise’ through partnership with Vorwerk Group of Germany is the licensed distributor of Thermomix in the Philippines. Before the cooking demo using Thermomix, the brand manager explained to us the different parts of this kitchen wonder. Over the years, it has been innovating and well-researched of and has the accessories for all cooking needs. 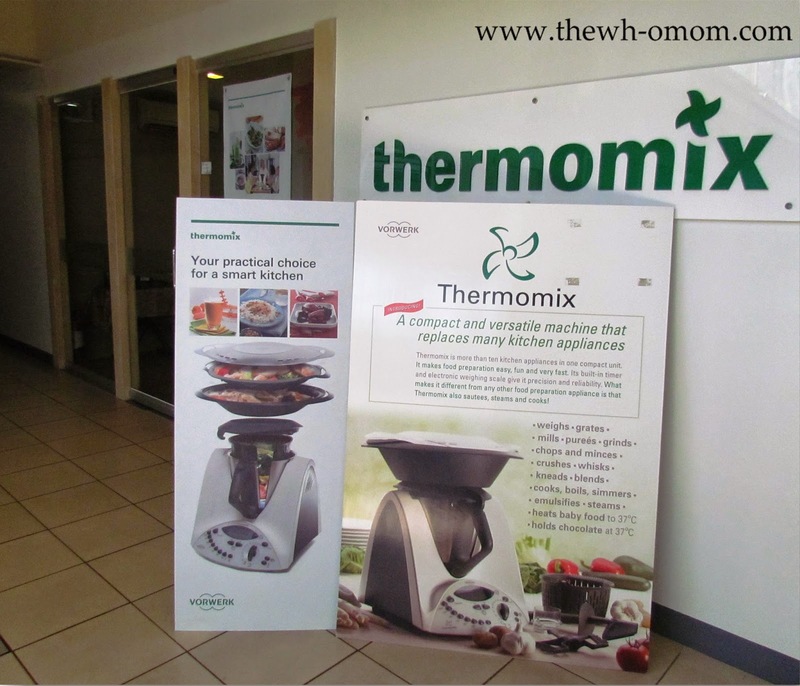 Thermomix can replace over 10 appliances in the kitchen. It can be your blender, food processor, cake mixer, juicer, bread maker, ice cream/yoghurt/sorbet maker, mincer, steamer, rice cooker, coffee grinder, food miller, purees, whisks, emulsifies, scale and more. It saves time, money and space by having One kitchen appliance that can do all and even make your cooking experience fun. Fresh juices with fiber, one minute fruit sorbets, real ice creams or perhaps a café latte, Thermomix can do it all. Use the fruits in season and make fresh fruit juices without the mess or create your own healthy sorbet masterpiece. Make and knead pizza dough/ breads from real grain and enjoy the goodness and taste of getting back to basics. Thermomix can also mill rice into rice flour, mill fresh coffee, grate chocolate; pulverize sugar into icing sugar with ease. Prepare, cook and puree soups all in one bowl. Create fantastic sauces right at your fingertips. Make risotto, pasta dishes, paella and more delicious meals with no stirring and done in minutes. 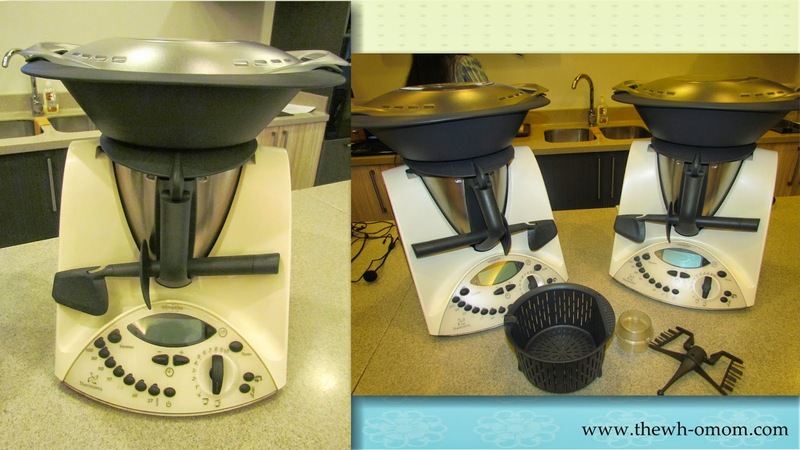 Healthy cooking that retains the food’s natural color and nutrients through gentle steaming via Thermomix Varoma. Make real custards with no additives; jams, homemade preserves and desserts. Prepare baby and children foods fresh and natural without additives.